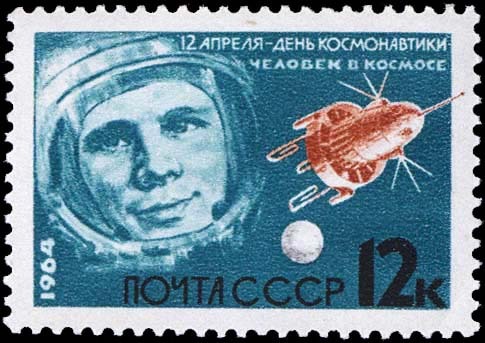 On 12 April 1961, aboard the Vostok 3KA-3 (Vostok 1), Soviet pilot Yuri Gagarin became both the first human to travel into space, and also the first to orbit the earth. Gagarin was born on 9 March 1934 in the village of Kluschino near Gschatsk as the son of a Russian peasant family. 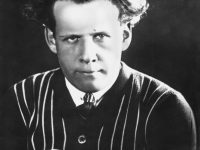 His father Alexei Ivanovich Gagarin (1902-1973) was a carpenter in the collective farm there, his mother Anna Timofejewna Gagarina, née Matwejewa (1903-1984), was a milker. In 1949 he moved from Gschatsk to Ljuberzy, a suburb of Moscow where no one knew him, and there he completed a two-year apprenticeship at a craftsmen’s school in Ljuberzy, which he completed in 1951 with the skilled worker’s examination as a foundryman. Subsequently, after he, in his application for a place at university, had lied about his father being a war invalid and concealing two of his siblings, he studied at the Industrial Technical College in Saratow and received a diploma as a foundry technician there in 1955. During his studies he became a member of the Aeroclub in Saratow and passed his first flight test on 3 June 1955. In the same year he joined the Air Force and was admitted to the flying school in Orenburg. On 7 November 1957 Gagarin was appointed lieutenant. From 1957 to 1959 Gagarin served in a fighter regiment in the seaplane forces of the northern fleet. He was stationed in the Murmansk Oblast on the Arctic Circle. In 1960 Gararin was chosen among 19 other pilots for the space program. In order to figure out, who would be part of the Vostock program, the pilots had to perform many physical and psychological tests. At the end Yuri Gagarin and Gherman Titov were the final candidates and of course, Gagarin was chosen to be on board of the first manned spacecraft. But before Gagarin headed to space, several tests had to be performed. In August, 1960, two dogs were sent to space who survived the trip and four months later two other dogs died while reentering the Earth’s atmosphere. In March, 1961, Vostok was used for the first time, transporting two further dogs and a doll wearing a pressure suit. During the preparations, Gagarin was instructed in the spacecraft’s functions. Soviet scientists made sure the pilot only had to operate as many on board procedures as necessary, since nobody knew if he was even capable of doing so during the flight. 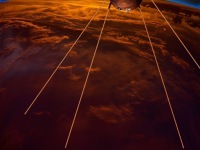 Even though the flight was supposed to last just a few hours, the spacecraft was equipped with food and drinks for 10 days. Also in case Vostok was unable to enter the atmosphere correctly, the Soviet scientists calculated a flight route that would naturally reenter the spacecraft into the atmosphere after 7 flight days. On 12 April 1961, the 1.57 m tall pilot completed his spectacular space flight with the spaceship Vostok 1 and, according to official information, circumnavigated the Earth once in 108 minutes. Around 676 seconds after its launch, Vostok had reached Earth’s orbit. Since the mission was not intended for actual scientific research in space, Gagarin’s tasks were basically limited to observing and explaining all situations he went through, also two cameras were installed inside the cabin, recording every second of the flight. When consuming the space food prepared for him, Gagarin found the pureed meal to be unsuitable for a longer flight. While reentering the Earth’s atmosphere, the pilot falsely noted his location being above the United States but landed safely in a small Soviet village. He was found by an old farmer lady before Soviet soldiers and scientists arrived at the scene. 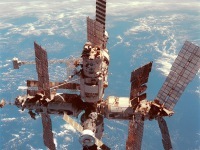 The successful Vostok mission belongs to the Soviet Union’s biggest achievements in space programs. Also it depicted an important step in the country’s space race with the United States. Yuri Gagarin himself was instantly after his landing promoted and celebrated as a national hero. Gagarin was commander of the Soviet Cosmonaut Group until 1963 and then studied at the Military Academy for Air Force Engineers “Prof. N. J. Zhukovsky”. In 1967, during the flight of Soyuz 1, he was intended to replace Vladimir Mikhailovich Komarov, who died in the mission. However, on 27 March 1968, Gagarin died in an accident during a training flight with a MiG-15UTI. Gagarin had been appointed Cosmonaut Instructor in February 1968, but before taking up this post, he still wanted to complete his training as a combat pilot. This had been interrupted because of his cosmonaut program. The MiG-15UTI was considered to be the USSR fighter with the lowest crash rate. Gagarin’s flight instructor and co-pilot was the regiment commander and hero of the Soviet Union, Colonel Vladimir Serjogin, an experienced MiG-15 pilot with around 4000 flying hours and war experience; he also died in the crash. The circumstances of the crash have not yet been clarified. 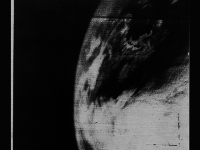 At that time, the government merely announced “an unfortunate concatenation of fatal circumstances” as the cause; the investigation report was only published on the 50th anniversary of the first manned space flight (almost 43 years later), but the statement at that time was never officially corrected. The first orbit around the world was an important prestige success of Soviet space travel during the Cold War. The American program Man In Space Soonest was not successful. After the Sputnik shock this was already the second Soviet success. The USSR was thus able to demonstrate technological superiority.